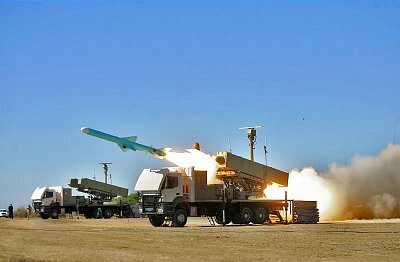 Iran unveiled and test-fired its anti-ship ‘Dehlaviyeh’ missiles for the first time during the last phase of the wargames underway in Southern waters on Monday. Earlier today, the Iranian Navy fired the latest version of its home-made coast-to-sea cruise missile, ‘Nasir’, on the second day of the main phase of the massive wargames underway in the territorial waters of the country and North of the Indian Ocean. 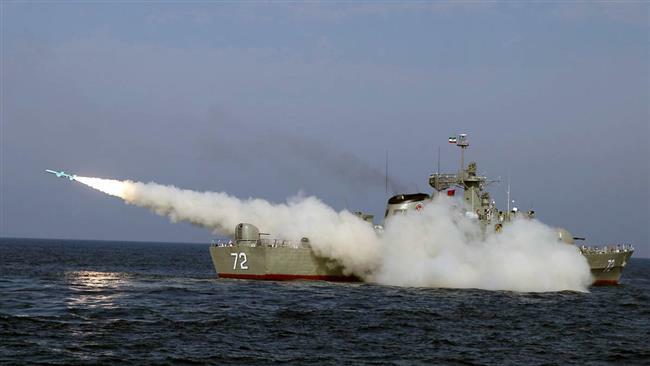 The final stage of naval drills codenamed ‘Velayat 95’ started by Iranian navy forces in the Strait of Hormuz, the Sea of Oman and North of the Indian Ocean on Sunday. Different naval units, including submarines, missile-launching destroyers, surface and subsurface units, missile and electronic warfare systems, drones, fighter jets and marines, started the Velayat 95 wargames on February 13. The naval drills will continue until March 1. Iranian Navy Commander Rear Admiral Habibollah Sayyari announced earlier this month that Tehran is resolved to boost its deterrence power and has never planned aggression against any other country. “Our strategy and doctrine is enhancement of defense power based on deterrence and we are not and will not at all think about aggression against others” but if a country thinks of aggression against Iran, it will receive such a response that will make it regret its deeds, Rear Admiral Sayyari said, addressing a gathering of Navy commanders in Tehran. Describing establishment of security in the region as the result of Iran’s defense power, he underlined his country’s determination to increase its defense and deterrence power.